People of Ohio and of the world: the death penalty does not bring “closure” or “justice”, it is an uncivilized, cruel human rights violation that has to stop now. We can not be doing the same as the person who was imprisoned did. We can never know for sure. We have to stand above revenge. LUCASVILLE, Ohio (AP) — Ohio on Wednesday executed a man for fatally stabbing the 15-year-old son of his former employers during a 1985 farmhouse burglary, marking the state’s first execution in six months. Forty-nine-year-old Mark Wiles died by lethal injection at 10:42 a.m., ending an unofficial moratorium on the death penalty that occurred while the state and a federal judge wrangled over Ohio’s lethal injection procedures. It was the 47th execution since Ohio resumed putting inmates to death in 1999. Wiles, looking haggard with a sparse, cropped gray beard and shaven head, stared at witnesses for a few moments when he entered the death chamber. A few minutes later, strapped to the gurney and IV lines inserted into his arms, he raised his head and looked at witnesses again. “Since this needs to be happening, truly I pray that my dying brings some solace and closure to the Klima family and their loved ones,” he said. He also thanked his family for their love and support. Wiles’ stomach rose and fell several times and his head moved slightly, then his mouth fell open and he lay still for several minutes before he was pronounced dead. John Craig, a cousin of Wiles’ victim Mark Klima and a witness of the execution, appeared briefly before reporters to respond to Wiles’ last words. “It’s my opinion that Mark Wiles gave up his citizenship to Ohio when he murdered my cousin and became an inmate, more or less a condemned man,” Craig said. Wiles, who dropped his final appeal last week, told the Ohio Parole Board that he wasn’t sure he deserved mercy but he was requesting clemency because he had to. Both the parole board and Gov. John Kasich denied Wiles’ request. Wiles’ defense team had argued he should be spared because he confessed to the crime, showed remorse and had a good prison record. Records show that Wiles surprised 15-year-old Mark Klima during a burglary at his family’s farmhouse and stabbed him repeatedly with a kitchen knife until he stopped moving. Wiles could easily have escaped the farmhouse after Klima surprised him but instead chose to stab the teen repeatedly, Portage County Prosecutor Victor Vigluicci told the parole board. A report to the parole board said Wiles had suffered a head injury in a bar 12 days before the slaying in Rootstown in northeast Ohio, and a doctor testified that tests indicate he may have an injury to part of the brain that regulates impulse control. Another doctor agreed that Wiles has a brain injury and said he also has a substance-abuse problem and personality disorder. The parole board earlier this month ruled unanimously that Wiles’ execution should proceed because he exploited the kindness of the family, for whom Wiles had been a farmhand, and because his remorse doesn’t outweigh the brutality of the crime. Wiles paced back and forth and was emotional and anxious in his last minutes in his cell a few steps from the death chamber, prisons spokeswoman JoEllen Smith said. The inmate spent the night on the phone, listening to the radio and writing letters, Smith said. He and two sisters and a brother-in-law cried during emotional visits Wednesday morning, and he also said the rosary with his spiritual adviser, a Roman Catholic priest who works at Ohio’s death row in Chillicothe. Wiles did not sleep since arriving at the death house Tuesday morning about 9:45 a.m., Smith said. “He did have a few brief moments where he became emotional upon his arrival, but his overall demeanor has remained the same, which is respectful, cooperative and compliant with our staff,” Smith said. For his special meal Tuesday night, Wiles requested a large pizza with pepperoni and extra cheese, hot sauce, a garden salad with ranch dressing, a large bag of Cheetos, a whole cheesecake, fresh strawberries, vanilla wafers and Sprite, Smith said. 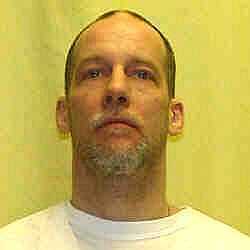 Ohio’s most recent execution delays stem from inmates’ lawsuits over how well executioners perform their duties. U.S. District Court Judge Gregory Frost sided with inmates last summer and postponed executions while the state updated its procedures. In November, Frost allowed Ohio to put Reginald Brooks to death for killing his three sons in 1982. In the process, executioners deviated slightly from their written execution plan. The changes were minor but angered Frost, who had made his impatience with even slight changes clear. He once again put executions on hold. Two weeks ago, after a weeklong trial over the latest procedures, Frost said the state had narrowly demonstrated it was serious about following its rules. He warned prison officials to get it right the next time.